The official website for The Football Conference Youth Alliance reported that "Romford never gave up and they might have equalised on a couple of occasions, before Sweeney sealed the victory with his second goal of the night with around 12 minutes left to play. Kidderminster deservedly collected the cup from National League President Brian Lee at full time, but Romford played their part in what was an entertaining game, and deserve great credit in reaching the final." Off the back of this success, the Blues Academy will be going out on tour this month to Copenhagen in Denmark to play Lyngby BK. 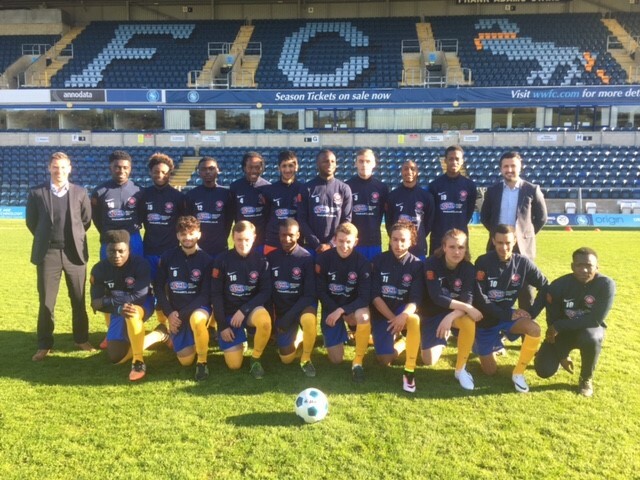 The Blues Academy at Barking FC is a scholarship programme managed by Michael O'Shea from Moro Management and run in partnership with SCL. The Blues Academy have had great success in reaching the final of the FCYA league. 82 teams started and the Blues were one of 2 teams left to compete for the league cup. Romford Blues competed in several rounds against clubs such as Hornchurch, Dagenham & Redbridge, Bromley Whites & Blues and Brentford. The Blues hosted the semi finals with Dover Athletic and won 3-2. The final saw them up against Kidderminster Harriers at Wycombe Wanderers' Adams Park.